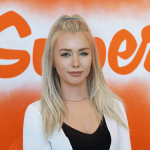 I have been working for Superfly Marketing for six months now and it still doesn’t feel like a job! In my previous blog post I discussed how I left university half way through, as it really wasn’t for me, and how I got my self ‘stuck’ in a dead end job. Since then, having first hand experience I have been able to develop my skills and create work for real life clients that they have not only liked but that they are now using within their business! I have designed Graphics, Brochures, Business Cards, Logos and even Websites! All of which I thought I might be able to do one day later in my life but not this soon at the age of 20. I never knew what to expect really when starting at Superfly as I had never had any real experience within the design industry, only design experience from what I had self taught or learnt in education. I didn’t know what the work environment was going to be like, the people, dealing with clients and the design process. I also didn’t know what was going to be expected of me and although I had seen work produced by Superfly I didn’t know what I was going to be working on and if I could work to their standard either. I had only ever vaguely used Illustrator before starting at Superfly and hadn’t really touched on InDesign, the two main software packages used at Superfly. At first I was really slow at using the Adobe software and I hated Indesign, not knowing how to resize images or how to crop… anything. Photoshop was the software I used all the time before starting work as I used it at school, college and university as well as for my own personal work too. I was a bit surprised that it wasn’t used much at all at Superfly which I can now see why, but it did mean I had to go back to basics and learn how to use Illustrator and Indesign. I began by playing around on Illustrator as this seemed to be a bit similar to Photoshop and I quickly picked up on some of the same tools that are used in both software which was my starting point for developing my skills. I think my first piece that I designed was a Graphic, I started around Easter time this year so I was given the task of making some Easter themed posts that would go on both Superfly’s social media and also a client’s too. This was in my first week, I thought I’d just be making cups of tea! I remember being really nervous hoping that what I was about to produce was actually going to be good enough and that they wouldn’t tell me to start again, or worse.. sack me! I used the tools that I knew about to begin with and kind of played a guessing game with the rest to put together the graphics I was asked to make. I also watched a few tutorials on how to achieve certain things as I knew in my head what I wanted to design I just needed to know how to incorporate this into Illustrator. Surprisingly it was quite easy to work with and in terms of graphic design you can get a lot more out of Illustrator than you do Photoshop. After completing a few different designs it was time to get some feedback, scary! To my surprise they thought the designs were really good and posted them on Facebook and Instagram later that week! Below are a range of graphics that I have created whilst at Superfly. From there on I began designing a variety of different things and the friendly work environment made it so easy to learn and develop my skills, in particular on Illustrator, knowing I could ask for help whenever I needed it. From not working on Illustrator six months ago to now using it everyday, I feel as though it is actually my favourite Adobe software to use, which I never thought I’d say. I find that although a lot can be achieved in Photoshop and Indesign I always find myself coming back to Illustrator to create something to incorporate into my design on the other software, I don’t know how I didn’t use it before. I was then asked to create a brochure for a client, Adview. For this I had to use Indesign, which I had managed to avoid up until now, I hated it so much. I just couldn’t seem to understand it at all and it was taking me such a long time to create something so simple that I could vision in my head. Finally after what seemed like such a long time I got to grips with the basics and managed to put together the brochure seen below! Although my skills have hugely developed with Indesign I still only use it when and where I need too. I don’t think it will ever be my favourite software to use but I do feel a lot more comfortable using it now than I did six months ago. I also now know how to resize images which I don’t know how I didn’t know how to do that before! I feel I still have a long way to go with working in Indesign as I probably still only know the basics but what I have learnt and now know enables me to create pieces such as the ones below. I’ve also learnt about working in RGB and CMYK in relation to print work as I had never even touched on that before and I didn’t know that the colours on screen print entirely different on paper if not in the right format. Things that I had never heard of now all seem so simple and I am learning every day on every new design I do, it’s that what I enjoy as each day is never the same. I will be presented with new briefs, new clients and new complications that I have to get past to complete my work, but it makes me better at what I do. It’s so strange going to work each day and instead of doing something because I have to, I feel I’m finally doing something because I want to and I really enjoy it. Something I am proud of that I didn’t think I would have yet achieved was building a website. It is something I have always wanted to do but thought you had to be super clever and have years of learning of how to do it to be able to make one. Some of our websites at Superfly are made using WordPress, which is again a piece of software I had never used before. There were a few websites being built and I was asked to make some pages for one of them, to which I ended up creating more than 20! I found WordPress to be quite straight forward to use and didn’t really need much help along the way. There was a few questions here and there when I was optimising the website for mobile use, I had a few problems with spacing, but I was quickly shown how to sort it and managed to create some nice looking pages that have been used. It didn’t seem real that I had actually made some pages for a website and even when the site went live it still didn’t feel like an actual website that everyone could see and use. I don’t know if it’s because I’ve always thought that every single website had to be coded and I always thought of it being a difficult procedure, but using WordPress made it a lot easier than what I thought it was going to be. I then found myself being asked to create a full website for a client, which was exciting. To work from, I was given information on what the client did with some of their own content and also their logo. From this I had the freedom to create their website using my own choice of colours which I felt worked well with their logo, an appropriate font and imagery. Because I was doing the whole website myself the decisions were all left to me and how I thought the website should be created to reflect the client’s business in the way they would want it to be. Although it was a lot to ask and I didn’t know what they were expecting from me, I was excited to start it and even more excited to see the final result. 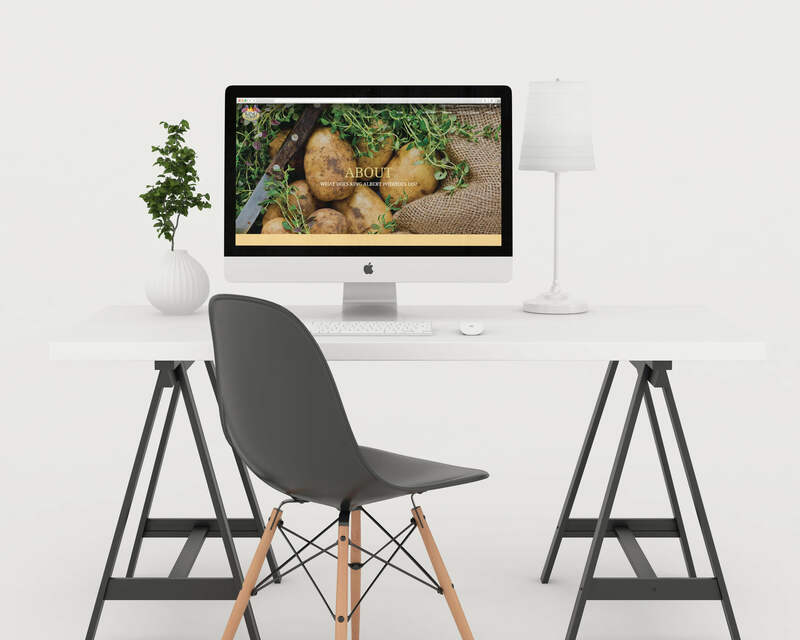 At first I began looking for appropriate imagery that would fit the client’s business, potatoes. King Albert Potatoes was the client and if I am being honest, I was sick of seeing potatoes by the end of it. I then chose the appropriate colours and font to match with the client’s logo and began putting it all together with the content he had provided. One issue I did face along the way was with some of the graphics. King Albert wanted a watercolour style image themed across the site which meant i had to find farm themed watercolour imagery and then rework them all to create pieces appropriate for the website. This took a long time… Other than that and waiting on some extra content, the website was quite straight forward to put together and was really fun to do, especially when the client then said they really liked it too! There were barely any amendments which I was surprised about and now the website is live which you can see here. When starting Superfly I wasn’t expecting any of my work to be used within the first month never mind the first week. I also did not think after 6 months that I’d have not just one but a few websites that were live for everyone to see and use. I feel I have progressed really quickly with the help from everyone at Superfly and that maybe I should give myself a bit more credit for what I can do, although I do still have a long way to go. I enjoy being able to come to work each day and have something new to work on and most importantly something that I enjoy. I get quite a lot of freedom with the work I do, although there is a set brief, I am left to create the design and then gain feedback at the end instead of being guided along the way. I like this as the independence is allowing me to come across challenges and letting me find my own resolution, although I know I can always ask for help. I think if I was hand-held along the way I wouldn’t have learnt as much as I have, as I would have maybe relied too much on the help and then not known what to do on my own. There has definitely been an equal balance when needed and I haven’t ever been made to feel like my work hasn’t been good enough. I left University not knowing what I’d go in to, but knowing that University wasn’t for me it was the chance I had to take and the risk was definitely worth it as I would still be at University now, still not qualified, maybe with no workplace experience and no guarantee of a job. What a lovely inspirational story to read Keyley! Onwards and upwards!!!! I can say that I enjoy working with you and Nick at Superfly. Good to know I can ask you all questions and you some how make it make sense and don’t take yourself too seriously, good job with my ICT skills lol!! Thank you!. Wishing you all a merry Christmas and a magical 2017!! !